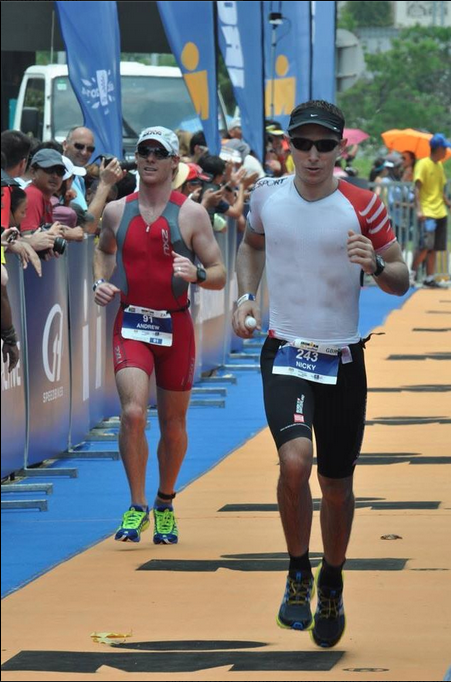 Malaysia 70.3 Guest Race Report. And friends, making me proud. Since I started this blog a couple of years ago, I’ve started to realise that sport has become something bigger to me than just training and competing; this year I’ve had some good friends, some new friends and some old friends all commit to tackling huge physical challenges and events. And to help inspire and motivate them in whatever capacity I can has been more rewarding than crossing any finish line myself. Witnessing Rich and Kerensa finish their first ironman race in Melbourne, reading updates from my old school friend Sam who ran her first marathon a couple of weeks ago, seeing Mel and Alex compete in their first ever triathlon, watching my husband have a smashing season and race a big PB in Challenge Melbourne, supporting Jess in her dominating performance throughout her first ever mini-tri season, riding alongside Matt in the final stages of his ironman run that has eluded him since we began training together two years ago, going on training rides with friends old and new who were competing in their first half-ironman races, reconnecting with friends and colleagues who were tackling their first triathlons, seeing my friend and phenomenal riding buddy earn a spot in a top NRS racing team, watching my buddy Simone finish her first ever half marathon having fitted in all her training around looking after her twin toddlers – it’s been a privilege to be able to share in everyone’s success. And today’s guest blog post is the epitome of that. Last year, I got an email from one of my first ever school friends. He is living over in Cambodia, and has always been a good runner, and was inspired to sign up for a 70.3 event in Malaysia. We’d been in contact for a while, and he was always a huge supporter of my progress throughout my training, so it was my pleasure to help him out with a rough idea of a training programme. I told him what had worked for me, and he adapted what he needed to in order to train in the Cambodian climate. About 8 of us raced from Phnom Penh, and with partners and spouses and kids and parents there was quite a support crew. I hadn’t met all of the people heading over from Cambodia, but I knew of those I hadn’t met from our Tri Cambodia Facebook group. At the start, there was a 15 minute delay due to traffic issues, and my age group had already been called to line up. In the holding pen, I was busting for a pee so bad I wasn’t even nervous. Could not wait to get in that water just to pee! It was a deep water start, and I was amazed at how calm I felt. The practice swim the day before was the only open water swim I’d done in months. 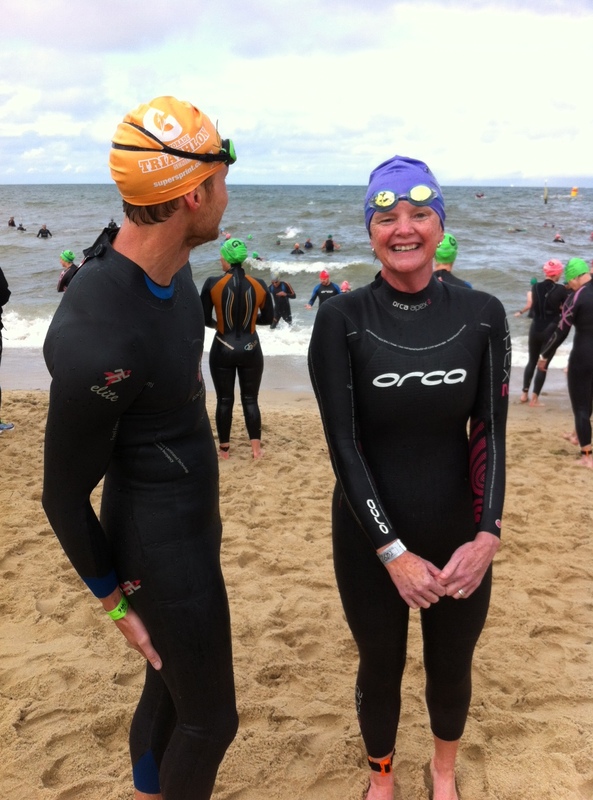 No, the only open water swim I’d done at all. As we treaded water waiting for the hooter, I found myself exactly where I didn’t want to be. Right in the farking centre of the pack. We began, and someone swam straight over the top of me, but again I felt totally calm about it. 1.9km looks huge when it’s not laps of a pool, and I went out wide and got down to business. It was murky, and I’d kind of sussed out sighting the day before, but I still snaked around quite a bit. Bouys passed, I felt strong, and before I knew it I was running up the exit. I heard my dad’s voice but had a head full of water and couldn’t even react, and it was a fair trot into T1. Mistake number one, I opened a Clif bar. Why? I don’t know. I’d planned on getting the fark out of the transition, settling down, then eating it. But I opened it there! Baffling. 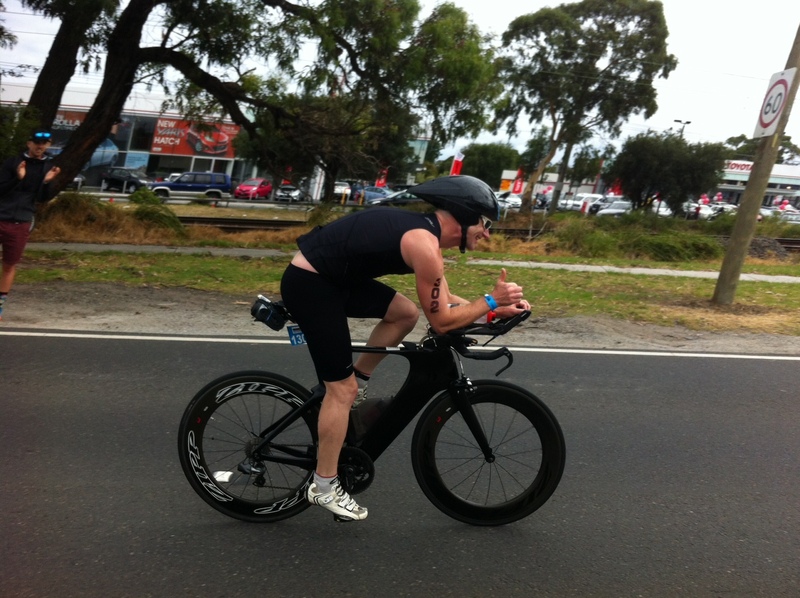 Mistake number 2 – I never practiced mounting the bike on the move, and as I thought I might be using mountain bike shoes, I could run out of T1 wearing those, then jump on and go. But, then I went for plan A, the road shoes. They dragged along the ground out of T1, hung upside down off the pedals, so I just shoved the damn Clif bar in my face, and pulled over and took a few seconds to get on the bike safely. The guy in front somehow stacked into the railing and I didn’t want to end up on my face before the ride began! Anyways, the bike leg was underway. Relax. 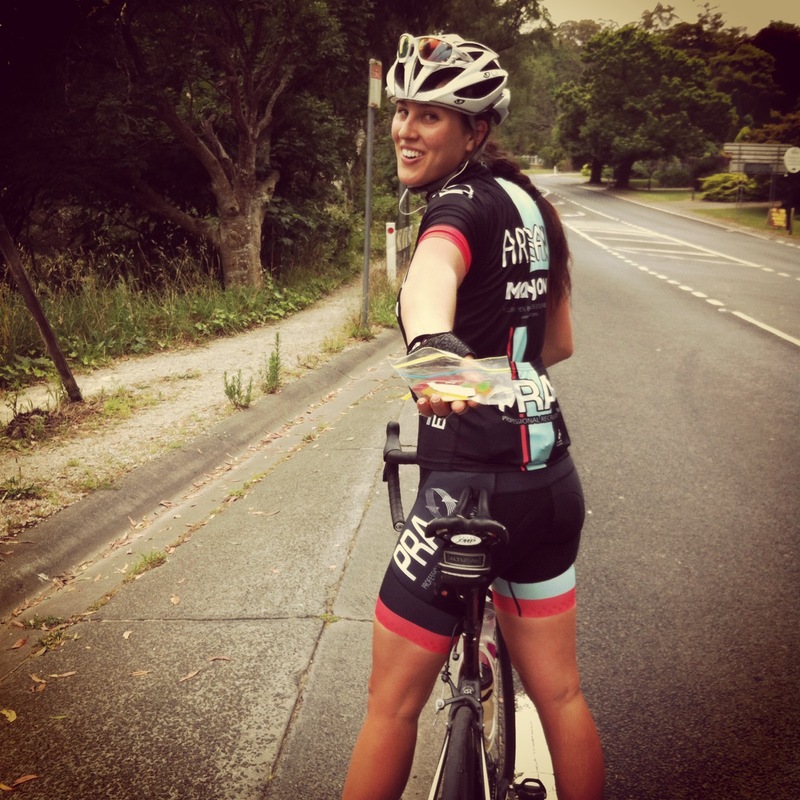 We’d headed out the day before to do a practice ride, and had planned on doing around 20km, just to loosen up. We got lost, and did 45km. And got really hot. But, the roads were AMAZING! Coming from Cambodia, where there are only about 3 roads that you can safely road bike on, never mind TT bikes, these streets were heaven. Undulating, perfectly smooth asphalt and hardly any traffic. I wasn’t concerned about the bike leg at all, as I’d put more than enough hours/miles in training, but my bike computer wasn’t working after the journey to Malaysia, so I had no idea of speed or cadence, and had only the aid stations to judge distance. I figured if it felt easy, I’d speed up, and if I felt I was dying, I’d slow down. I raced hard. I realised that buying a TT bike does not buy you strong legs, and I passed guys with bikes worth 5 times mine, and helmets worth more than my airfare. Aid stations passed, my Perpetuem was sliding down easy, and a few gels stoked the fire. Lap one done, nobody died. Lap two was easier as I knew there were no killer hills, but the heat was rising. I kept passing guys just to make sure I wasn’t going to be accused of drafting. I drooled at TT bikes, but my little road bike with clip on bars was doing me proud. I caught Pierre about 8km from the end, and passed him. Seeing a familiar face was a real boost, and then, right at T2, my folks were right there at the fence! I slipped out of the shoes and gracefully dismounted. I was loving it – actually enjoying the whole thing! A quicker transition this time, but still 3 mins+, but it was so damn hot, half of that time was spent slapping on SPF50. I knew I’d be able to rely on my running experience to get me to the end, but aches were setting in. My left foot, which usually would be numb in the toes after a long ride in the heat, had a strange pain down the outside edge, but toes were fine. This felt odd with every footstep, but not unbearable. Time for a bit of work, Simpson. People were cramping and walking all over the place, and it was so hot I felt my pace grind to about 9km/hr. Not fast enough. I caught Pierre AGAIN, who snuck past me in transition. He immediately stopped and dry heaved. I continued, not feeling great myself, thinking this was just about survival now, not racing anymore. 6hrs will be ok. So what if I do a 2hr 30mins on the run? I’ll finish and I won’t walk…. 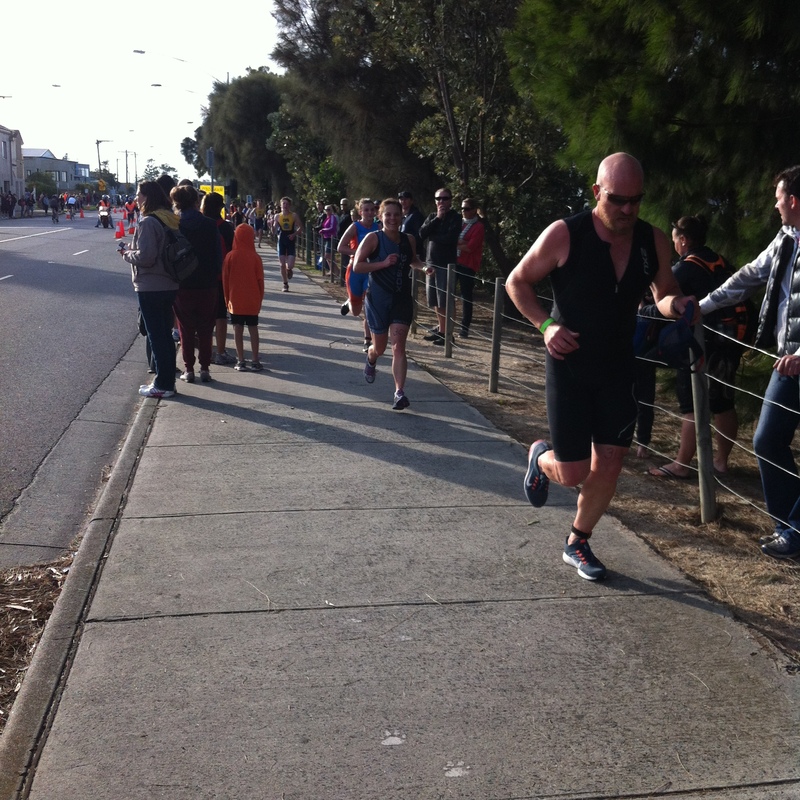 A few kms in I felt the pace pick up, and I found a great rhythm – run between the aid stations, then walk through them. Drink water, pour water over head, drink isotonic, drink water, pour water over head and ice cubes down shirt. pray for cold sponges. Continue running. Repeat. It was an interval session, that was all. Just a very hot one! Some passed me, but I passed many. The volunteers were all so friendly, I found myself saying to other runners, “Good job!” as I passed them. Then I thought that’s a bit of a backhanded compliment, as by telling them they were good as I passed them, I must be thinking I am great. So I stopped telling them, and started telling myself. “Good Job, Simpson, you got this!” Lap one done. 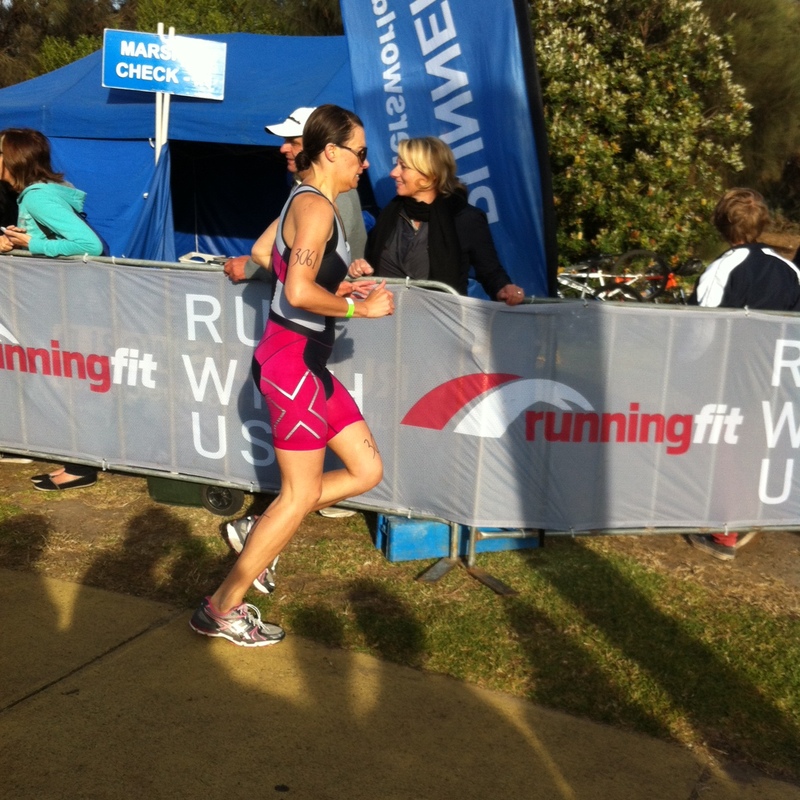 And, it was only the commentator announcing the arrival of the female 3rd place pro just in front of me that woke me up, and I turned left for lap two just in time – I was nearly the guy crossing the line 10km too soon! She was done. I realised I had one more hour to go. On lap two, more people were cramping and walking all over the place. Some were even lying down. I gave away my Endurolytes to a guy that was limping and wearing an expression you’d expect to see in trench warfare. I was fine on the isotonic, I told him, then wondered if that would be another schoolboy error. A shoulder injury from a moto accident 4 months back reappeared, and my left shoulder was locking up. Am I cramping? 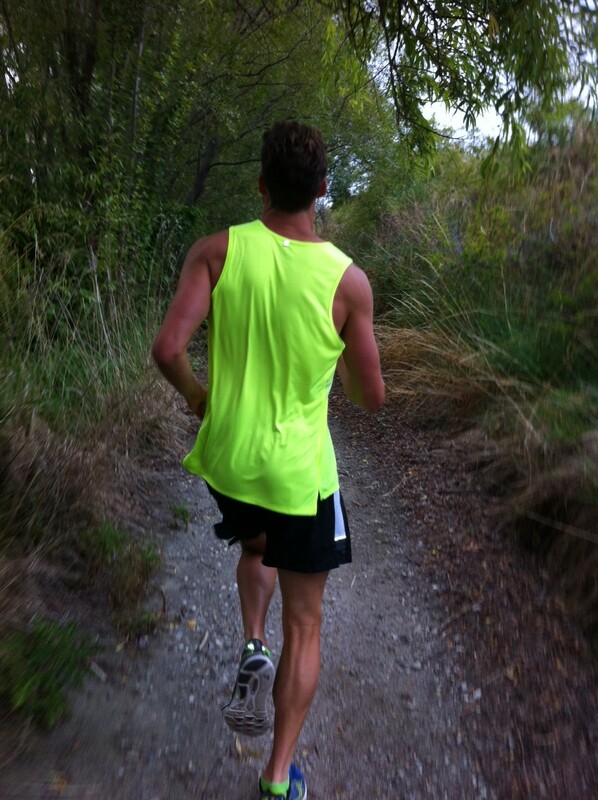 2km intervals continued. drink, pour, drink, pour, drink, pray for sponges. Gel was just not appetizing in that heat, but i forced it in and felt better for it. My feet squelched with all the water and sweat running down my legs. My jaw clenched harder. The second lap felt infinitely further than the first. And then the huge mosque appeared, then the blue carpet, and I could see my parents but not even lift my hand to wave, and then it was done! A cold towel was wrapped around me, a medal put over my head, a bottle of water in my hand, even a Cornetto, and as I sat in the massage tent, I tried to work out my time. 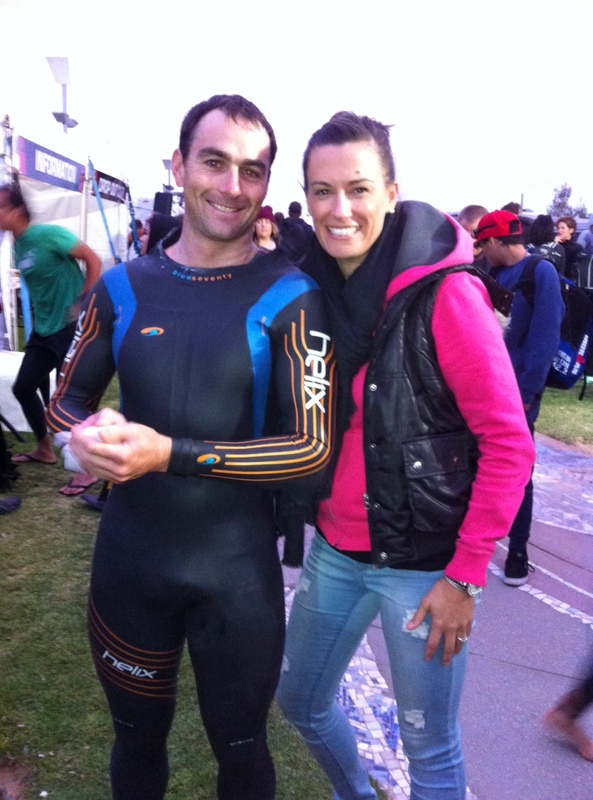 I’d stopped my watch when Pierre asked me my time after the swim on the way into T1, so my watch just said 37mins. I had no idea what my time was! My dad helped me work it out, and coming in at 5:29 put me exactly where I wanted to be. The hottest run of my life hadn’t slowed me too much, and I must’ve been picking up the pace to get it done in 1:55. The whole thing went like clockwork really, and I had no major dramas. I managed to buy a Compressport shirt at the merchandise tent the day before and was grateful for it, as my baggy bike jersey would’ve been wet and heavy. I didn’t stay for roll down, just got my bike and cycled back to the hotel, needing to get out of the sun. I spent the rest of the day in a stoned state, delirious but pleased with myself. I couldn’t eat much, and couldn’t find much of any real nutritional value anyway. Just Subway and a nasty protein bar that had melted. The smartest thing was not getting smashed drunk! I’m ready to continue this crazy lifestyle of being perma-tired, smelling of chlorine, wearing lycra, eating like a horse and getting up at 4:30am. I can’t imagine doing anything else now! If only Cambodia had better roads. I’m so excited about what the future holds for Nick and for all my other friends tackling big challenges throughout the rest of the year. And make sure you all leave comments to congratulate Nick on his performance (otherwise he will never let me use his writing again as I told him you would all love to read his story!). I’ll finish with a selection of moments from the past season of some of the people who have inspired me with their dedication, sacrifice and drive (I don’t have pics of everyone, these are just the ones I could get my hands on…), and no release forms were signed in the process, so if you don’t want your face featured, let me know and I’ll remove! Congrats, Nick! 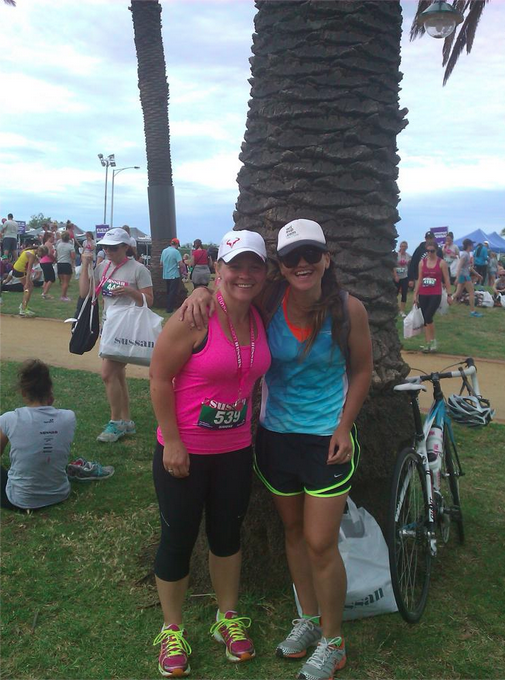 Great race report – sounds like you killed it. Thanks for sharing! That was a great race report, tell Nick thanks! Very inspirational. Will do Alice – thanks for the comment, and love the picture of you – hope you dont mind me posting it!